There's assuredly some merit to that hole-in-the-wall deli near your apartment where they make a killer Italian sub, but sometimes the heart (or your prospective date) yearns for something more. In those cases, stow the Italian sub in your refrigerator (there'll be plenty of time for it later), pull out all the stops, and seek out a place where saying the views are better than the food isn't a disparaging remark, but an awestruck whisper. 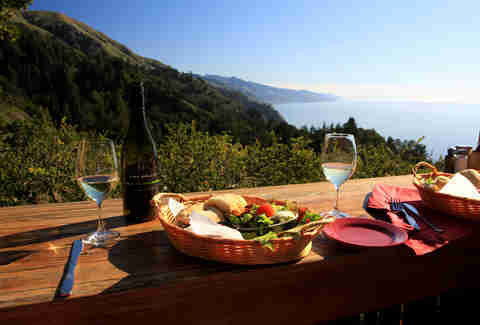 To wit, here are 11 restaurants with some of the most ridiculously scenic views in the world. 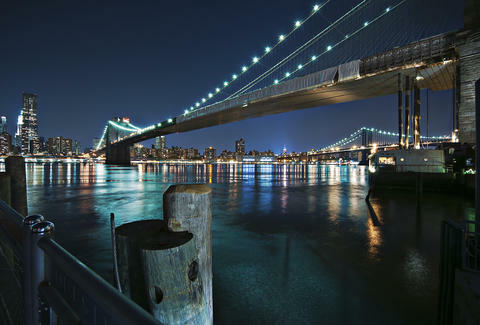 Many people would think that the best restaurant view in all of New York would be from the top of one of the city’s myriad skyscrapers. But River Café, sitting placidly on the banks of the East River in Brooklyn, benefits from its removed vantage point -- you can see all of Lower Manhattan from here, skyscrapers, bridges, and all. Watch the boats drift by while surrounded by trees, enjoy some of the best service in the city, and totally fuhgettabout your troubles. 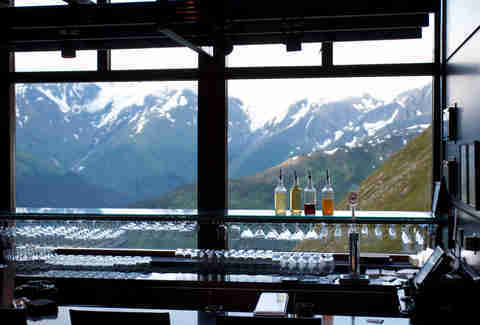 The seafood-heavy menu here might seem odd, but you’ll be willing to forgive Seven Glaciers for its eccentricities once you take a look out the window and gawk at the mountain face staring back at you. 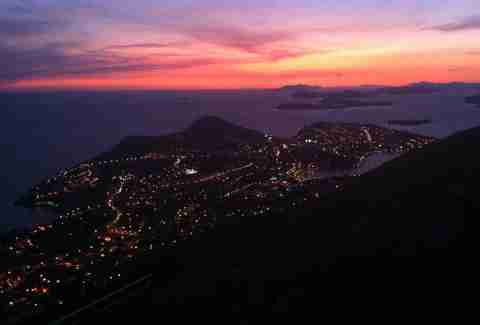 The daylight hours are choice here, but make sure you account for the fact that the only way to get up to the restaurant is a cable car. And definitely try the Baked Alyeska, named for the Aleut word upon which -- you guessed it -- the state itself is based. Yes, the “95th” stands for the 95th floor of the John Hancock Center. 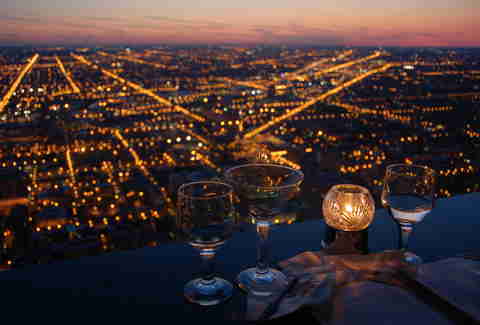 From up in the Signature Room, you can see unparalleled views of the entirety of Chicago (and even parts of neighboring states on clear days) and dine on gourmet cuisine. The restaurant even offers what has to be the best view from a restroom in the entire United States (note: only the women’s bathroom has this luxury, and presumably a couch to sit on as well, for all we know). 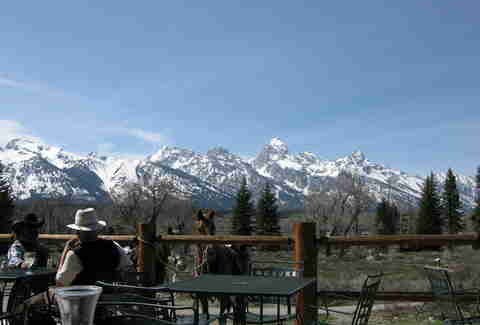 Get a full-on view of some spectacular Tetons at Dornan’s in Moose, where the Pizza Pasta Company and the Chuckwagon are serving up burgers, pizza, beer, and traditional cowboy fare alongside views that would make Alan Ladd smile knowingly. Not only is Duck & Waffle the highest restaurant in the UK (located atop Heron Tower in London, which is 40 stories tall), but it’s also open 24 hours a day, seven days a week. That means that you can enjoy unparalleled, floor-to-ceiling views of the cityscape -- and eats like AN ACTUAL CONFIT DUCK AND WAFFLE -- at the time of your choosing. Fortunately for you, London looks good regardless of what time of day you get your waffle craving. 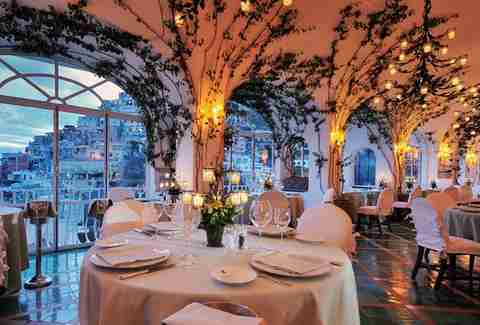 This place -- not even taking into account the fact that the city of Positano gleams from the hills overhead -- is worth mentioning just for the ambiance, which includes vine-wrapped columns and whitewashed arches. Their high-end Italian cuisine is as good as it gets, and the blue hues of the Mediterranean are bound to make it unforgettable. 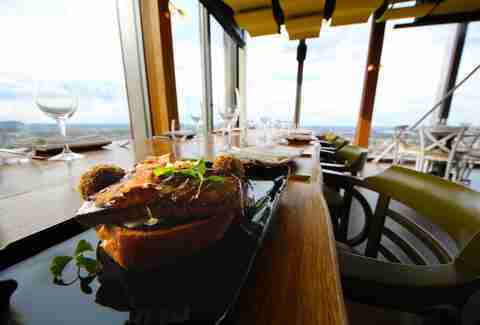 While you’re in town to peep what the Lannisters are up to, make it a priority to see the next-best view aside from Aegon’s High Hill -- the panoramic view of the city from Mount Srd’s creatively named cable car-station restaurant, Restaurant Panorama. From here, you can nosh on coastally sourced eats, gaze out at Mediterranean Islands, and hopefully not witness any beheadings. Perfect for more thrill-seeking diners (or Dr. Evil on one of his off-days), The Rim quite literally sits on the edge (or “rim”) of Kilauea, Hawaii’s most active volcano, and ironically, despite its precarious crater-adjacent location, the one time it has ever burned down was from an internal fire, not an eruption. 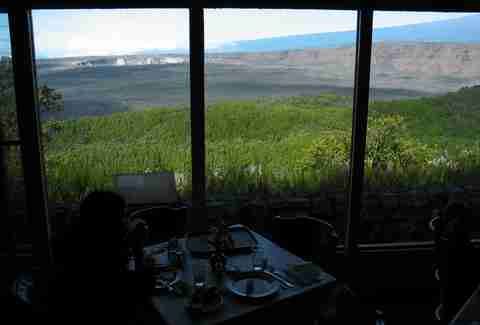 But when all you can see is smoke billowing out of the geological hot spot, you can cut into your pineapple-wrapped Hawaiian fish and sigh deeply in awe of nature’s majesty. And then return to plans to take over the world, or whatever. 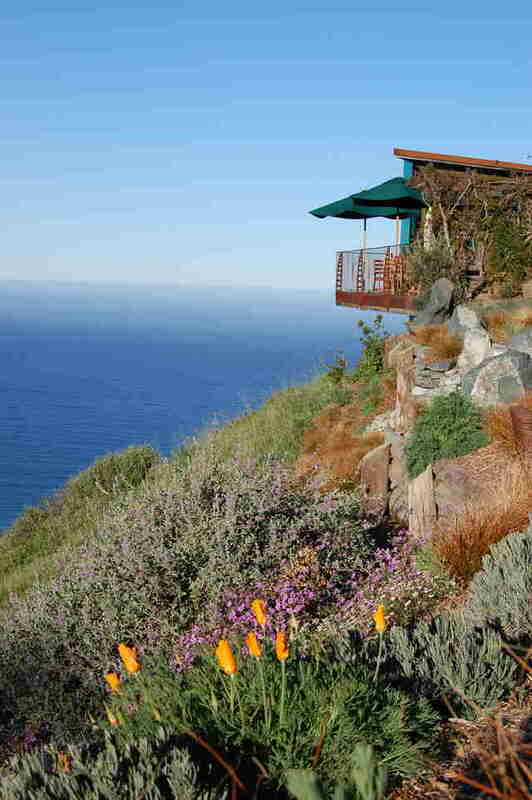 Big Sur already has a reputation for containing some of America’s most scenic vistas, so you could probably eat a Slim Jim at a convenience store there and count it on this list. Somehow, though, Sierra Mar manages to blow that convenience store out of the water from its panoramic perch 1,200ft above the Pacific. The food here is also incredible (their locally inspired prix fixe menu changes daily), but it might fall out of your cartoonishly dropped jaw. 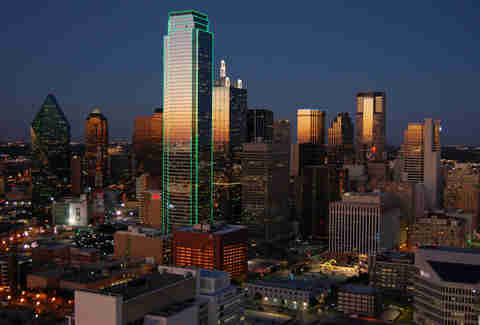 You won’t find 560-degree views of Dallas from Wolfgang Puck’s Five Sixty -- that would be impossible unless you forgot to pay attention for 200 degrees and had to go back to see them again. Fortunately, though, a 360-degree view from the top of the 560ft Reunion Tower will absolutely suffice, and the room even revolves so you don’t have to. Also revolutionary: chef Puck’s interpretations of Asian cuisine, like Maine lobster & shrimp spring rolls. Located right down the street from Sierra Mar, Nepenthe serves solid American fare in a slightly more relaxed atmosphere: the actual atmosphere, because the move here is sitting outside on their veranda and overlooking the surrounding verdant bluffs. The word “nepenthe” means a medicine that induces forgetfulness of pain or sorrow, and it’s right on the money. Similarly themed is the Ambrosia burger, which, while not conferring immortality, will at least make you feel pleasantly full. Adam Lapetina is the partnerships editor at Thrillist, and is planning a road trip to Big Sur ASAP. Read his musings at @adamlapetina.